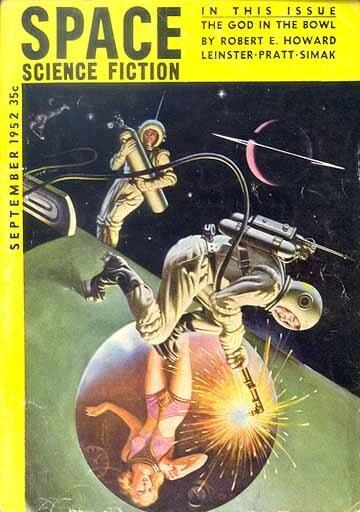 This issue of the American Science Fiction Magazine represents #14 (June 1953) in the Australian-published series of reprinted quality American fiction. It sports a lovely cover illustration by the competent Stanley Pitt. This is an ingeniously crafted science fiction / mind-captivating thriller which leaves us wondering: WHO IS SANE…? Is it our narrator, or, the inhabitants of earth? 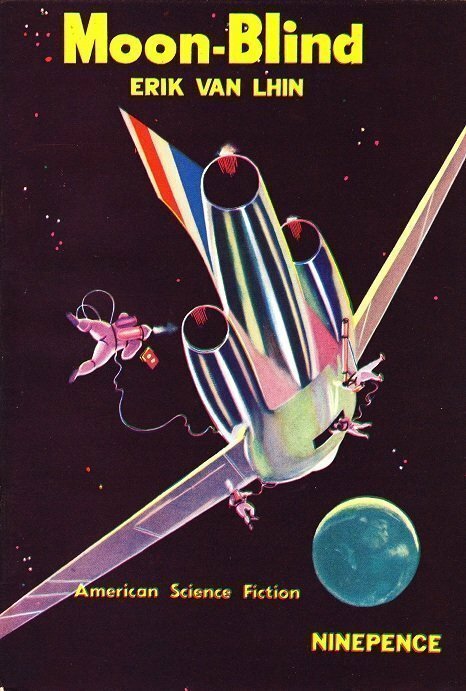 When Soames—manning earth’s first flight—is abandoned on the moon, he survives four years in isolation and heroically reconstructs a fuel-based engine to return to Earth. Crashing at sea, he’s rescued by a coastguard cutter, but on proclaiming his identity (and expecting a hero’s welcome) they think he is insane. The insanity continues as he attempts to hook up with NASA, other military personnel he was affiliated with, the girl that was supposed to “wait for him” but turns out she has a child already that reportedly existed BEFORE he knew her, and so on. The story comes to an exciting climax that paves the way for a Hollywood cinematic presence!!! 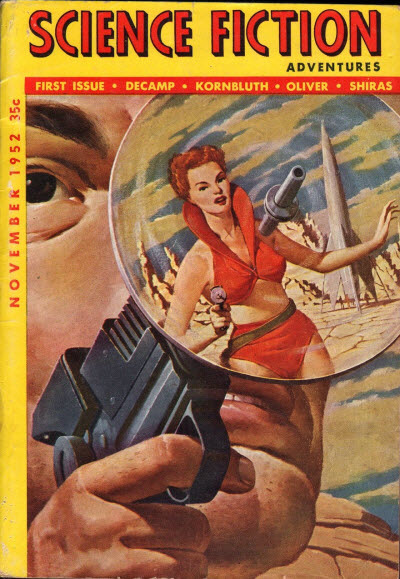 This novelette has all the right elements to form the foundation for an excellent motion film. “The Fence” touches upon the fact that humans have been conquered but are oblivious to the fact and confined as in a zoo or some-such environment. This tale involves aliens telepathically communicating with the higher lifeforms of Earth and inviting them to join their galactic community. But the humans have trouble understanding the full message, and when they eventually land at the alien’s meeting point, they discover that… well, you’ll just have to read it yourself and enjoy the highly ironic conclusion that Pace supplies.